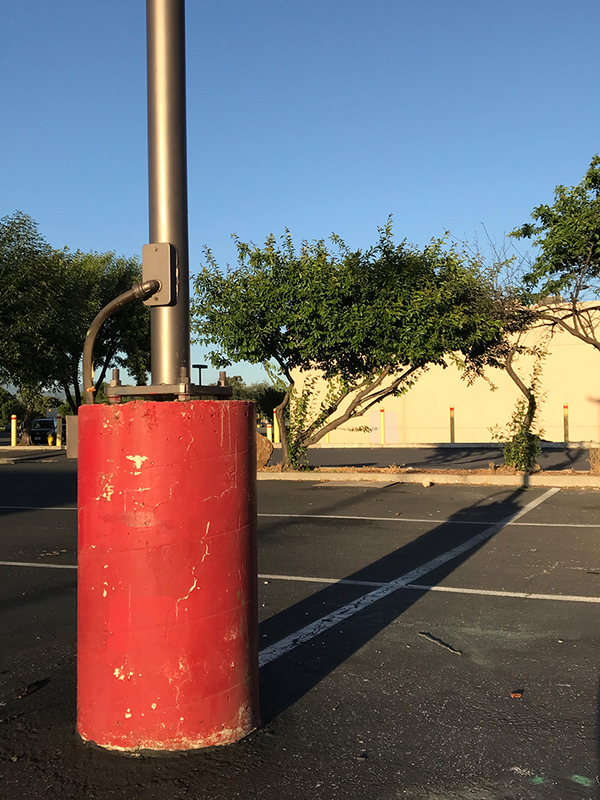 There was only one red light-pole base in the whole parking lot. I don’ t know why it was painted red, or who did it. They must have only had one can of paint, though. Nothing else nearby was red. During my break, I went outside and took this photograph. It must have been that special time of day where the shadows cast the true nature of objects. This entry was posted in Personal Stories and tagged art, artistic process, creative process, creativity, parking lot, photography, street light, street photography, visual arts. Bookmark the permalink.